Mount Calvary offers a basic guidance program for all of our high school and middle school students. The goal of the guidance office is to help students navigate through the academic demands of high school and to prepare them to transition into life after graduation. 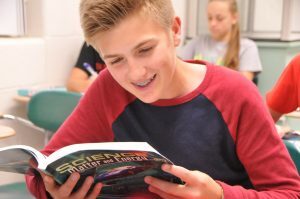 The guidance office is responsible for facilitating basic achievement and standardized tests, such as the Keystone and PSAT, as well as reviewing the results of those tests with the students. The high school guidance counselor also helps seniors prepare for college by conducting one-on-one meetings, posting scholarships, informing them of various career-centered learning opportunities, and reminding them of key deadlines throughout the year. I would like to find out more information from the Guidance Counselors. What your be your preference in contacting you?